When all the Tollywood actors have been busy with a bunch of commitments, Allu Arjun is still undecided about his next. Though he has been knocked with some interesting offers, Bunny is yet to give his nod. The actor is currently in USA filming for Na Peru Surya which will release on May 4th during summer. The latest update is that young director Sampath Nandi is busy penning an interesting script for Bunny. 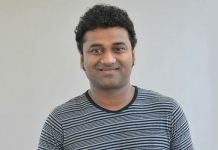 Veteran producer C Kalyan is backing the project and Sampath Nandi will narrate the script once he gets a right shape for the script. 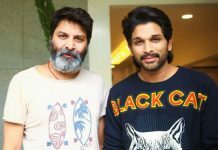 On the other side, Maruthi is keen on working with Bunny and couple of young debutants have been in discussions with the top actor. Names like Koratala Siva, Sukumar too are making rounds but the actor is expected to take a call only after the release of Na Peru Surya. Bunny’s film with Lingusamy has been launched last year but we haven’t heard anything about the bi-lingual.